It is never too late to learn an instrument. 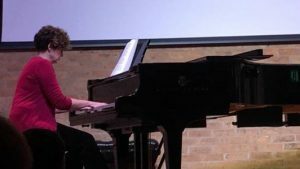 Whether you are an adult beginner or an adult returner, playing the piano offers many benefits such as keeping your mind active, expressing yourself creatively and experiencing the sheer joy of playing music! Adults can be nervous about returning to learning and with my background in adult education I am used to working with adults to build their confidence. You will need to have the time and motivation to practise in order to progress. Adults have one hour lessons which can be tailored to suit the pace and level of each person. Sessions encourage all round musicianship skills as well as pianistic skills. It really depends which aspects you would like to work on. Most of all sessions are enjoyable!